Editor’s Note: The source of this piece is the stellar reporting of April Glaser and the awesome people at Recode. It’s with great regret that we forgot to credit them in the original as the source of the story. By now it should come as no surprise that Julian Assange isn’t a fan of Hillary Clinton. It doesn’t seem that he likes Google much, either. Assange, the notorious founder of Wikileaks, detailed plans to unleash a fresh batch of leaked documents each week until the November 7 presidential election. The first of these leaks was due yesterday, but instead of documents intended to derail the Clinton campaign, we got a plug of Assange’s book and an echo of previous statements that the leaks would come once a week between now and the election. The documents are said to expose Clinton, the military, the oil industry, and Google. Eric Schmidt, former CEO of Google and its current chairman seems to be the lynchpin in Assange’s new master plan. In an excerpt from his 2014 book ‘When Google Met Wikileaks,’ Assange accuses Schmidt of having ties to the State Department when Hillary Clinton was Secretary of State and working closely with her campaign. Nobody wants to acknowledge that Google has grown big and bad. But it has. Schmidt’s tenure as CEO saw Google integrate with the shadiest of U.S. power structures as it expanded into a geographically invasive megacorporation. 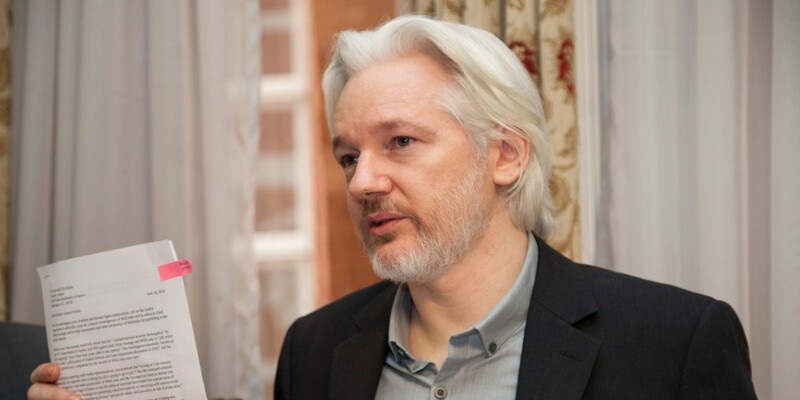 Assange’s tenure at the head of Wikileaks saw the company implicated in cable and email leaks that revealed company brass heading operations in Iran and Afghanistan. The latter saw executives attempting to move Afghani telecoms onto US military bases and the former uncovered meetings with Iranian leaders, according to Recode. These meetings were purportedly to assist US government interests. These leaks never seemed to affect Google, as the company continued to grow bigger and more powerful in the years to follow. Seemingly forgotten, the anti-Google feelings have since reemerged. Maybe it’s not unfounded. Schmidt does back a startup that provides a great deal of data for the Clinton campaign and Schmidt himself chairs a newly minted innovation board at the Pentagon. Compelling circumstantial evidence, but neither offers overwhelming evidence to support Assange’s claim. For now, we’ll just have to wait and see what Assange has up his sleeve. Correction: The original article incorrectly stated that Alphabet backed a startup that provides data for the Clinton campaign. It’s actually backed by Schmidt himself.